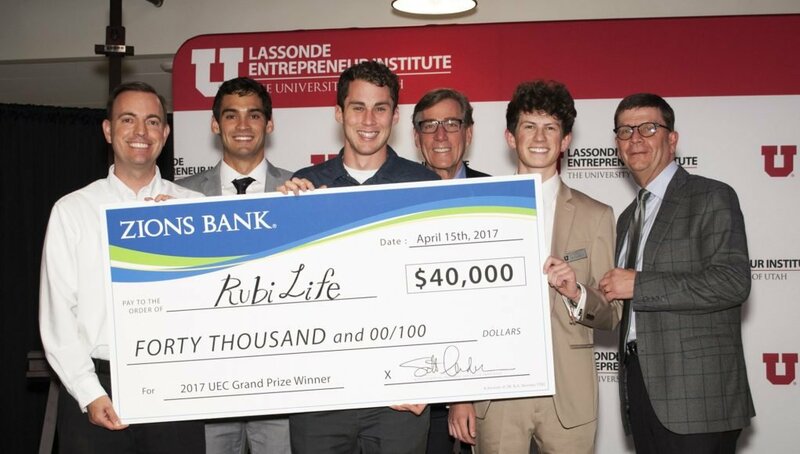 The Utah Entrepreneur Challenge (UEC) is a statewide, student business model competition. Teams from universities across the state compete for the best business model and a chance to win $100,000 in cash and prizes. The grand prize is $40,000. UEC invites the public and special guests to enjoy the final showcase and awards ceremony in the spring. Participating teams are judged by industry professionals and community experts. In addition to the grand prize, there are also additional prizes granted for the best business model, presentation and technology. Many past winners have developed into successful enterprises. The competition is open to all university students in Utah. There is also a high school version of this competition with $20,000 in prizes for those ages 14-18. The High School Utah Entrepreneur Challenge (HSUEC) is your opportunity to showcase your innovation and entrepreneurial spirit and win over $20,000 in cash and scholarship prizes. Anyone who is in high school or ages 14-18 can participate in the challenge. There is no minimum for a number of students on a team, but teams may not consist of more than 5 students. Entries will be judged on the four business components (problem, solution, market, and prototype) as well as their presentation and ability to address the questions asked. There is no limit to how many ideas a single team can submit. Just make sure that each idea is entered as a separate submission. You and your team may use an idea you have already been working on. There is no need to come up with a completely new idea for this competition. It is suggested you continue to work on your already awesome idea! Interested in attending the Utah Entrepreneur Challenge 2019? Register your participation by following the registration link and taking the suggested steps.